Saudi Arabia/Riyadh - A cargo plane belonging to the German carrier Lufthansa crashed on landing at Riyadh airport on Tuesday.The plane's pilot and co-pilot were hospitalized. The MD-11F plane (D-ALCQ) broke up into two on landing after smoke was seen coming from the plane as it approached the airport. Civil defense teams were working to put out the fire. The incident took place at around noon (0900 GMT). The aircraft is totally destroyed. Lufthansa had a scheduled flight to Riyadh from its Frankfurt hub on Tuesday, airport sources said. Пакистан/ Исламабад - Самолет Еърбъс А-321 (AP-BJB) на авиокомпанията Airblue изпълняващ полет ED202 от Карачи за Исламабад се разби при опит за кацане в планинския район Маргала Хилс край столицата на Пакистан. По последни данни на пакистанските медии на борда е имало 147 пътници и 6 души екипаж. Няма оцелели при катастрофата. Единадесет закупили билет са се отказали от полета буквално в последния момент. Според разказа на очевидец самолетът е загубил баланс преди да се разбие. Метеорологичните условия край летището наистина са били сложни (валеж, мъгла и намалена видимост), но е възможно при дешифрирането на бордовите самописци да се разкрият и други причини довели до трагедията. Самолет авиакомпании Airblue выполнял рейс ED 202 из Карачи на юге Пакистана в столицу - город Исламабад, Самолет Airbus 321 (AP-BJB) упал при заходе на посадку севернее пакистанской столицы в покрытых лесами предгорьях Гималаев, известных как Маргалла-Хиллс. На борту самолета находились 6 членов экипажа и 147 пассажиров. В момент катастрофы был сильный ливень и образовался туман. На месте крушения Airbus под Исламабадом обнаружен «черный ящик». В настоящее время его расшифровывают специалисты. Самолет Ан-2 на румънските ВВС не успял да набере достатъчно височина и прелитайки едва 2 км след излитането си паднал от около 150 м..
На борда му имало 14 души, от които 5 от ВВС и останалите били парашутисти от ВМС. Предусетили неизбежната катастрофа трима успели да скочат, но се наранили, като единият от тях фатално. Сред загиналите военнослужащи е и 26- годишна жена - лейтенант. в Бобок бил произведен в Полша и на въоръжение в румънските ВВС от 1992 година. Назначена е комисия за разследване на катастрофата. Жертвами крушения самолета Ан-2, разбившегося в понедельник в Румынии, стали 12 человек, а 2 получили ранения. Самолет, вылетевший для подготовки парашютистов, разбился в понедельник. Авария произошла сразу после взлета с аэродрома в городе Тузла на юго-востоке Румынии. Всего на борту находились 14 человек - четыре члена экипажа и десять военнослужащих из подразделения ВМС. Рухнувший самолет загорелся и пожарным понадобилось около получаса, чтобы потушить его. Fourteen were on the An-2, including 4 crew members and others parachute jumpers. Three were seriously wounded, with one of them in coma. They were transported to hospital in Constanta, the largest Black Sea port city. Later one of them died. It was the most significant accident involving the Romanian Air Force in the last 20 years. People close to the investigation said the accident might be caused by operational errors on take-off. The plane crashed near the airport after a flight of two kilometers, ambulance representatives were cited as saying. According to a communique of the Defense Ministry, the crashed plane belonging to Air Force School of Cadet, ran a parachute training mission and crashed at around 5:40 p.m. local time (1440 GMT). 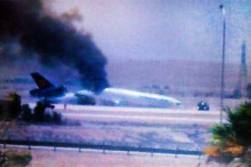 Upon impact with the ground, the aircraft caught fire which was extinguished after 35 minutes. A technical investigation committee was set up to inquire into an aircraft accident, under an order of Defense Minister Gabriel Oprea. Antonov-2 plane was Polish manufacturing, being in use by the Air Force in 1992. 01.07.2010*/Czech Republic/Svetla pod Jestedem - A Schleicher ASW15 glider (OK-6869) crashed during an emergency landing into a fence of a family house. The 63- years-old female pilot received only minor injuries. */Italy/Foggia - A Robinson R44 Clipper helicopter (I-MGIA) direct toward the parking area, hit the ground and was damaged. The passenger received minor injuries. 02.07.2010*/US/CO/Centennial Airport (KAPA) - A Christen A-1 Husky plane (N89HK) crashed in a field on takeoff. */New Zealand/Whangarei/Onerahi - A Cessna 172K Skyhawk plane (ZK-NCA) ran out of fuel and crash-landed in a street injuring slightly the female pilot. */Czech Republic/Plzensky region/Kralovice - An agricultural Zlin Z-37A Cmelak plane crashed injuring seriously the pilot. */US/TN/Nashville International Airport (KBNA) - A Cessna T337G Super Skymaster plane (N7CM) made a belly landing due to a landing gear malfunction. */Canada/BC/Apex Mountain area near the Apex Mountain Ski Resort - A Cessna 172P Skyhawk plane (C-GSKK) crashed during an emergency landing. Both occupants escaped with minor injuries. */Australia/NSW/Coombah - An ultralight plane crashed. No injuries. */US/FL/off coast of Miramar Beach - The North American AT-6G Texan plane (N92778) -dived into the Gulf of Mexico oof coast of Miramar Beach near Pompano Joe’s and the Crab Trap, FL, after avoiding a mid-air colision with a banner towing aircraft. Both occupants were killed. 03.07.2010*/Luxemburg/Luxemburg-Findel Airport (ELLX/LUX) - A Cessna O-1E Bird Dog plane (LX-PAB) made a hard landing and was substantially damaged. */China/Victoria Harbour - An Agusta Westland AW139 helicopter (B-MHJ) was forced to make an emergency landing in the water. No injuries. 04.07.2010*/US/TX/About 1 mile east of Alpine-Casparis Municipal Airport (KE38) - Five people were killed when a Cessna 421B Golden Eagle II medical plane (N31AS) carrying a patient and others crashed in western Texas shortly after takeofff. */Bahamas - A Cessna 400 Corvalis TT plane stolen from the Monroe County Airport was found crashed off the coast of the Bahamas. */Germany/Reinheim/Odenwald - A glider crashed injuring the female pilot. 05.07.2010*/US/KY/Fredonia - A Robinson R44 Raven agricultural helicopter (N857PM) got tangled in some power lines. The pilot was killed. *Hungary/Budapest - A Cessna 172P Skyhawk II plane (HA-JUT) crashed into a garden pavilion and burst into flames killing the 3 occupants. */US/IL/Pocahontas - A man (62) is dead after a glider crashed. 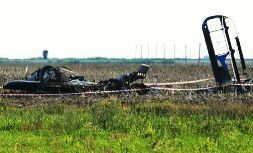 */Ukraine//Kahovsk/Bogdanovka - A Hersonavia Ka-26 agricultural helicopter got tangled in power lines and crashed injuring the pilot. 06.07.2010*/Bolivia/Chapare - A military UH-1H helicopter (FAB-749) crashed while on a mission against drug-trafficking killing 1 and injuring 8. The helicopter was part of Task Force "Red Devils" (Diablos Rojos). */US/NC/Lake Norman - A Beechcraft F33A Bonanza plane (N350NW) crashed into the lake and sank due to an engine failure. */Australia/NSW/Orange Airport (YORG) - A Gippsland GA-8 Airvan plane (VH-YBH) clipped the top of a hangar on landing and crashed injuring slightly the pilot. */Russia/Moskovskaya oblast/Kolomna - The Russian parachutist A. Nemeryuk was seriously injured while trying to make a record in group skydiving. */Russia/Tyumen - A 19-year-old girl survived her first jump with a parachute which failed to open. She fell into a swampy area. 07.07.2010*/France/Paris - Pagasus Boeing 737 passenger plane hit a truck while taxiing and damaged its wing. */US/CA/Sloughhouse - A Cessna 172F Skyhawk plane (N8793U) made a hard landing into a backyard drive due to engine problems, shortly after take off from Rancho Murieta Airport (KRIU), CA. No injuries. */Malaysia/Santubong - An Aersospatiale AS 335N Ecureuil II police helicopter made a hard landing and overturned injuring the 2 occupants. 08.07.2010*/US/NV/Fallon - A jet has crashed northwest of NAS Fallon. The pilot was able to eject and is now receiving medical attention at Banner Churchill hosptial. According to NAS Fallon, the A-4 Skyhawk jet (N132AT) that crashed was being operated by Airborne Tactical Advantage Company. */US/TN/Sequatchie County/Lewis Chapel Mountain- A hang glider was injured Thursday when he crashed at the base of Lewis Chapel Mountain. 09.07.2010*/US/MO/Chillicothe - One person has been taken to the hospital after the G-164, an agricultural biplane crashed at the Chillicothe Municipal Airport. */US/KS/Wichita - A Cessna-172 clipped power lines and crashed in a field injuring seriously the pilot. */US/CO/Rocky Mountain National Park/Forest Canyon - A Wisconsin man (54) and his daughter (18) survived a single-engine plane crash in a remote part of Rocky Mountain National park, using trees and debris from the aircraft to build a shelter while they waited to be rescued. They received only minor injuries when their American Champion 8KCAB plane (N56BC) crashed. 10.07.2010*/UK/ Rotherfield Peppard/ Henley-on-Thames - A biplane crashed killing the 2 French occupants. */Brazil /MG/ Camanducaia/ Monte Verde district - A Neiva P-56C 'Paulistinha' training plane (PT-BOM) crashed on landing injuring the student. */Brazil/ Maranhao/ Paco do Lumiar - A Cessna 182F Skylane plane (PT-BXQ) carrying skydivers crashed in a field while trying an emergency landing due to an engine failure. The four skydivers on board jumped before the crash. */Saudi Arabia/ Riyadh - The remains of a body were found on the rear wheels of an Airbus 320 jet that landed in the Saudi capital of Riyadh from Beirut. 11.07.2010*/Austria/Tirol/Ausserfern - A glider flew into heavy weather conditions and crashed into the mountain (at an altitude of about 2000m) killing the pilot. 12.07.2010*/Czech Republic/Kralovehradecky region/ Borohradek - An Air Force Aero L-39C Albatros jet (0440) encountered engine problems. Both crew members ejected safely, sustaining only minor injuries. 13.07.2010*/US/MI/St. Ignace/ near Mackinac County Airport - A Beechcraft 58 Baron plane (N3081N) crashed shortly after takeoff due to an engine problems. The 73-year- old pilot and his 3 granddauthers from Israel (at the age of 14, 16 and 17) were killed. The only surviver was his grandson (13) who was seriously injured in the crash. */US/TX/Denton County/ 5mls NW of Krum - A light plane ended up in a Denton County pond during an emergency landing and sank. One of the 2 men on board received minor injuries. */Australia/WA/ about 60km south of Kalgoorlie/ Near Lake Cowan - A Cessna 210L Centurion plane (VH-TIJ) crashed and ended up upside down in a semi-dry salt lake injuring the 2 occupants. 15.07.2010*/Germany/Munstermaifeld - A glider crashed in a field killing the pilot. */Israel/Hazerim AFB - An Israel Air Force female cadet ejected from the Beechcraft T-6 Texan II when the plane began to swerve off the runway during landing. She was slightly injured. */Croatia/Brac Airport (BWK/LDSB) - A Cessna 550 Citation Bravo plane (YU-BSG) crashed on landing and caught fire. No injuries. */Mozambique/ Manica province/ Dombe - A Piper PA32R300 Lance II plane (C9-IZT) crashed on landing injuring the pilot and a cyclist at the site of the crash. 16.07.2010*/Brazil/SP/Novo Horizonte/Vale Formosa - A Robinson R44 Raven II helicopter made a forced landing in a field and caught fire killing 1, injuring 3 people. */Mexico/Celaya - A Cessna 172C Skyhawk plane (XB-MEG) made a forced landing in a corn field due to engine problems. The airplane flipped over. */US/AK/King Salmon Creek - A Piper PA-14 plane made a forced landing due to an engine failure. 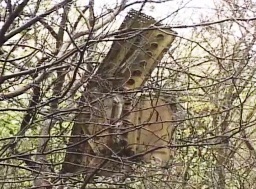 The aircraft was totalled in the crash-landing. 18.07.2010*/US/FL/Marion County/Ocala National Forest - A Navy jet, AV8B Harrier with Camp Lejeune’s 26th Marine Expeditionary Unit, has crashed in Marion County. The 29-year-old pilot, Capt. Jarrod L. Klement with Marine Medium Tiltrotor Squadron 266 (Reinforced), ejected safely from the plane. */US/AZ/Phoenix - A single-engine Beechcraft A36 Bonanza plane (N9SH) crash landed along Deer Valley Road. The airplane struck a car that was traveling eastbound on the road. The pilot was transported to an area hospital with non-life-threatening injuries. */New Zealand/Nelson/St Arnaud - A glider crashed into tree. */Egypt/Cairo International Airport (CAI/HECA) - A Phuket Airlines Boeing 747-306M plane (HS-VAC) on behalf of Saudi Arabian Airlines re-positioning flight SV-9302 from Cairo International (Egypt) to Jeddah (Saudi Arabia) with 22 crew, rejected takeoff from Cairo International Airport (CAI/HECA), when an engine (CF6, outer right) failed leaving debris behind on the runway at Cairo International Airport while taxiing for take off. */US/TX/one mile SW of Denton Municipal Airport (KDTO) - The Tri Technologies Kis TR-4 Cruiser plane (N767GW) lost engine power after takeoff and crashed about one mile southwest of the airport, then caught fire. The pilot was critically injured. */Brazil/MT/Serra de Sao Vicente - An EMB-711C Corisco plane (PT-NBE) crashed killing the 2 occupants. 19.07.2010*/US/NV/Ruby Mountain - A Bell Ranger rescue helicopter with 4 people on board crashed in the mountains injuring slightly the pilot. */Philippines, Tarlac - A Philippine Air Force SIAI Marchetti S-211 trainer jet (09005) crashed in a sugar cane field, but the 2 occupants bailed out safely. */US/PA/Watsontown - An agricultural Bell 206 Jet Ranger helicopter flew into electrical wires over the Susquehanna River, after which the helicopter crashed and flipped. The pilot escaped with minor injuries. */Canada/Nunavit/Rankin Inlet - An Aero Commander 500S plane (N5800H) with 3 people on board crashed in a swamp on takeoff. 20.07.2010*/Germany/Mosbach/Lohrbach - A Cessna 172RG Cutlass RG plane (D-ENGA) crashed on landing injuring seriously the pilot. */US/over Kansas - The United Airlines Boeing 777-222 plane (N773UA), flight UA967, encountered severe turbulence at 34000 ft over Kansas and diverted to Denver. At least 25 occupants (4 flight attendants and 21 passengers) reported injured, one of them seriously. 21.07.2010*/Afghanistan/Helmand province/Lashkar Gah - A NATO helicopter was shot down killing 2 US soldiers. */South Africa/between Nelspruit Kruger M. Int. Apt. (FAKN) and Hoedspruit Apt. (FAHT) - A light plane crashed killing the 2 occupants. */US/WY/Natrona County/30 miles northeast of Casper - A Mooney N-20B plane crash-landed in a field, after the plane lost oil pressure. 22.07.2010*/Philippines/Davao del Norte/Purok Rambutan - An agricultural Piper PA-36-375 Brave 375 plane (RP-1248) crashed into a house injuring one resident. */US/NE/McCook Airport - A crop-dusting plane crashed into a parked plane while taxiing. The injured crop-dusting pilot was burned on his face, hands, chest. */US/WA/Buckley - A single-engine light plane lost power and crashed in a field. */US/TX/Johnson County/Cleburne - A dual-engine Aerostar 601P plane crashed injuring slightly the pilot. 23.07.2010*/US/Lake Michigan/ Ludington - A Cessna 206 Stationair plane (N82531) crashed into lake. One surivor found by Coast Guard. Four people missing. */South Africa/Mpumalanga/Witbank - A police helicopter crashed in a field and burst into flames killing all 7 policemen on board. Chopper manufacturers, Eurocopter said the helicopter was a BK117 B1 model, registered as ZS-HMY with the Manufacturer Serial Number 7033. It was manufactured in 1983. */Canada/Ontario/ between Elk Lake and Gowganda - A helicopter crashed killing the 2 occupants. */US/IA/Chickasaw County/New Hampton - A helicopter crashed injuring slightly the pilot. */US/SD/Tea/Marv Skie-Lincoln County Airport (Y14) - A light plane crashed almost immediately after takeoff due to engine problems. The pilot was killed. */Austria/Salzburg/Gahbuhel near Dienten am Hochkonig - A cargo Bell Super 204B helicopter (OE-XBT) crashed killing the pilot (42). */Poland/Lublin/Radawiec - The ultralight Zenair CH-601 Zodiac plane crashed on takeoff killing the 2 occupants. */US/AK/Ketchikan - A DHC-2 Beaver plane clipped trees and crashed on landing killing the pilot. 24.07.2010*/Canada/QC/James Bay/Radisson/ two kilometres from the La Grande Riviere airport.- A de Havilland Canada DHC-2 Beaver Mk1 plane (C-FGYK) crashed shortly after takeoff killing 2 and injuring 3 people on board. */Canada/Norman Wells - A Beech 36 Bonanza crashed in a remote area killing the pilot. */US/PA/Venango County/Sandy Creek Township - An experimental plane crashed killing the 2 occupants. */South Africa/KZN/Pietermaritzburg - An Aeroprakt A22 Foxbat plane (ZU-ESB) crashed into a Wartburg sugar cane field killing the 2 occupants. */US/MI/Norton Shores/ Muskegon County Airport - A single engine plane crashed just after takeoff near Vanderplow Athletic fields injuring the pilot. */US/NC/Enochville - A Zodiac 601-XLplane crashed shortly after takeoff injuring the pilot. */Congo DR/North Kivu - The FDLR attacked a Goma Express plane with the assistance of Mai Mai Sheka [militia]. They took money and the Indian co-pilot of the plane. About $60,000 in cash had been stolen. The Russian pilot escaped and flew the plane back to Goma, the provincial capital 150km away, with a wounded Congolese national on board. */US/SD/Spearfish - A Piper PA-28-151 Warrior plane (N1158X) crashed on its second approach for landing after it hit a tree at False Bottom Creek. The pilot's wife died in the crash. 25.07.2010*/US/WI/Green Lake County/Green Lake - A small plane made an emergency landing in a soybean field and was severely damaged. */US/AZ/Flagstaff - A Boeing MD-83 passenger jet, flight 645 from Billings, Montana, bound for Mesa, Arizona and belonging to low-cost carrier Allegiant Airlines, shut down an engine due to a possible fire. The jet made an emergency landing.. Seven passengers were slightly injured using the emergency slides. */Belgium/Houtain-le-Val - A B&F FK.14 Polaris plane crashed in a field killing the 2 occupants. */Afghanistan/Laghman province - A helicopter belonging to NATO's International Security Assistance Force made a hard landing Monday along the perimeter of a coalition force camp. Four passengers received minor injuries and the cause of the landing is under investigation. */US/WI/Sheboygan County Memorial Airport - A 1979 Cherokee Lance plane made a belly landing due to an electrical problem. */France/Coullons - A Schweizer 269C helicopter crashed in a forest killing the 2 occupants. 26.07.2010*/New Zealand/ Feilding - Two people are dead after two small training planes smashed into each other near Feilding. The female pilot of the damaged plane, Cessna 152 (ZK-JGB), has managed to land at the Taonui Airfield. The other aircraft, Cessna 152 II (ZK-TOD), crashed into a nearby paddock, killing two people. 27.07.2010*/South Africa/Limpopo/Louis Trichardt/Tshikota - A Piper PA-32-300 Cherokee Six plane (ZS-EXW) was forced to make an emergency landing in a field shortly after takeoff due to an engine failure. The 2 occupants were slightly injured. */US/IN/Seymour - a World War I era bi-plane crashed at Freeman Field in Seymour around 8:45 a.m. Investigators said the plane lost power after reaching an altitude of 50 to 60 feet and crashed in a field north of the runway. The pilot suffered only minor scrapes and bruises. */US/WA/Felts Field in Spokane - A 1999 single engine, fixed-wing plane (N360N) crash-landed injuring the 71-year-old pilot. */US/LA/New Orleans - A helicopter with three people on board went into the Gulf of Mexico 80 miles south of New Orleans, but a good Samaritan rescued all three and got them to a nearby rig. No injuries. 27.07.2010*/Sudan/Darfur - UNAMID helicopter with Russian crew of 4 and several passengers was hijacked by the rebels. Later the helicopter return back to the base. */US/IN/Tell City/ near Perry County Municipal Airport - A Sparrow Hawk II gyro-copter appeared to be coming in for a landing at the airport when it lost power, crashed and caught fire. The pilot (69) suffered second- and third- degree burns over 85 percent of his body from the crash and later he died in the hospital. 28.07.2010*/Iraq/Karbala - A sandstorm downed an Iraqi military helicopter Wednesday killing all 5 men on board. */US/AZ/Tucson - Air Methods Corporation reported that a Eurocopter AS350 helicopter (N509AM) based in Douglas, Arizona crashed at approximately 1:40 p.m. in Tucson. The paramedic, flight nurse and pilot on board the aircraft received fatal injuries. */US/IA/Clayton County/ Elcader - An agricultural helicopter crashed injuring the pilot. */Guinea/Conakry International Airport (CKY) - Mauritania Airways Boeing 737-7L9 (TS-IEA), Flight YD620, ran out of the runway on landing and sustained substantial damage. Ten occupants were slightly injured. US/AK/Elmendorf AFB - An Air Force C-17 cargo aircraft, assigned to the 3rd Wing at Elmendorf Air Force Base crashed about 6:14 p.m. (Alaska time) on 28 July. The fireball extended about 750 feet in the air. At the time of the accident, it was on a local training mission. Four aircrew were on board. No survivers. After the 6:14 p.m. crash at Elmendorf Air Force Base, access routes to the site, which was not on a runway, were closed. A board of officers will investigate the crash. • Maj. Michael Freyholtz, a pilot assigned to the Alaska Air National Guard's 249th Airlift Squadron. • Maj. Aaron Malone, also a pilot assigned to the 249th Airlift Squadron. • Capt. Jeffrey Hill, a pilot assigned to Elmendorf's 517th Airlift Squadron. • Senior M.Sgt. Thomas Cicardo, 249th Airlift Squadron loadmaster. An Airblue Airbus 321 passenger plane (AP-BJB) was destroyed when it crashed in the Margalla Hills near Islamabad-Benazir Bhutto International Airport (ISB), Pakistan. All six crew members and all passengers on board were killed. On board were 153 people. Flight ABQ202 (ED202) had departed Karachi International Airport (KHI) on a domestic service to Islamabad. The plane was about to land at the Islamabad airport when it lost contact with the control tower. Thick smoke could be seen rising from an inaccessible region in the densely wooded hills, where helicopters circled overhead and rescue services dispatched ambulances to the nearest roads. The flight crashed during poor weather and thick fog. 29.07.2010*/Hungary/Szeged - A Schleicher ASW 27 glider approaching Szeged collided with a truck. The driver of the truck was seriously injured. */US/TN/Knoxville Downtown Island Airport - A Cirrus SR22 plane (N747CD) ended up upside down in a lake near the airport. No injuries. */Canada/BC/Lillooet - Transwest Helicopters Ltd. Bell 214B-1 was on a firefighting mission when it lost power and crashed injuring 1 of the two occupants. */Uruguay/off shores of San Jose Department/Rio de la Plata - A Bell 206B JetRanger III crashed into the ocean killing a passenger. 30.07.2010*/Canada/NS/Valley - A Champion 7GCBC Citabria Explorer plane (C-FNFM) crashed in yard shortly after takeoff. The plane was seriously damaged. */South Africa/WC/Cape Town Int. Airport - A training Eurocopter EC 120B, registered ZS-RME, crashed on landing. Its tail hit the ground and broke off. 31.07.2010*/China/Beijing Capital International Airport (ZBAA/PEK) - The Boeing 777 heading to Singapore hit the tail of the parked Boeing 737-89L, which is supposed to go to Ulan Bator as CA 901, while taxiing in fog. No injuries. */Netherlands/Limburg province/Lomm - The Evektor EV-97 Eurostar Model 2000 Version R plane (PH-3V6) made a forced landing in a field after engine problems. Both occupants received light to moderate injuries and the ultralight is possible damaged beyond repair. */France/Bormes les Mimosas - The Eurocopter AS350 B3 Ecureuil (F-GKBF) clipped trees on landing and crashed in a field injuring 5 of the 6 on board.